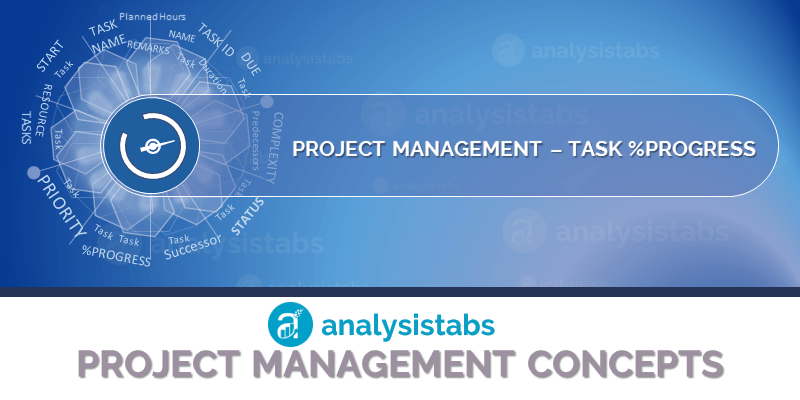 Task Completion | %Progress in Project Plan Template - ANALYSISTABS - Innovating Awesome Tools for Data Analysis! %Progress is percentage of task completed. %Progress is calculated based on the duration and days completed. A project Lead or responsible person will update the %Progress on daily basis. %Progress field of a task is a required field and it is generally a numeric data type. A Textbox control is generally used to enter the %progress completion of a task. Default %Progress value of task is 0%. i.e; Task is not yet started. If %Progress value of a task between 1% and 99%, then tasks are in progress. If %Progress value of a completed task should be 100%.